Marty is a North Carolina and South Carolina licensed Real Estate Broker specializing in rural properties in southeastern North Carolina and northeastern South Carolina. 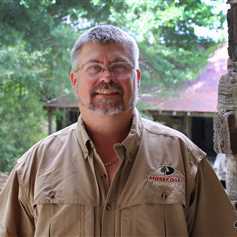 As a lifelong outdoorsman and sportsman, he is a natural choice for helping clients with the sale, purchase, and management of timberland, farmland, and recreational properties. He has always maintained a reputation for honesty and integrity when working with clients and customers. Marty has a genuine respect for wildlife and believes strongly in wildlife habitat conservation. Marty is a graduate of UNCW with a Bachelor of Science degree in Business Management. He served in the U.S. Army Reserve as an officer in the Transportation Corp. He has extensive business experience as the former vice-president of a local construction company for over 20 years. His hobbies include hunting and fishing. Marty and his wife Cyndi have two young children, Jonathan and Amanda.